It was 7 pm on 2017, Aug 11; The "Kishanlal Public College Auditorium" at Rewari (Haryana) was all seated. 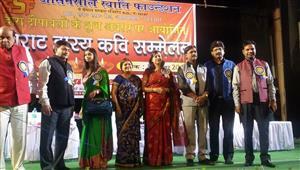 Dainik Jagran had organise a kavi sammelan and the most popular kavi of India were on the stage namely Dr. Hariom Pawar, Dr. Manzar Bhopali, Dr. Suresh Awasthi, Shabina Adeeb, Halchal Hariyanvi and hasya kavi Shambhu Shikhar. 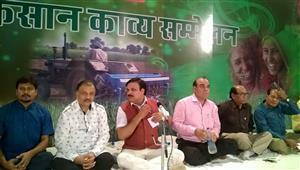 Dr. Hariom Pawar from Meerut is a very reknowned and enthusiastic face of "veer-ras". He is a standing symbol of nationalism, no doubt. 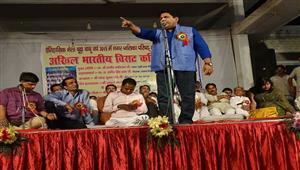 While reading his poems, Dr. Hariom Pawar keeps a constant pitch full of energy and zeal, this boosts up the patriotism in the listeners. The cause behind his poetry is closely related to the nations's issue. Now comes an eminent Urdu poet Dr. Manzar Bhopali, famous across the globe for his ghazals, nazm and geet. Starting his poetic journey from Bhopal, Dr. Manzar Bhopali is becoming one of the most popular faces of Urdu poetry and mushairaas. Certified with Masters degree in Urdu, he has won many awards. 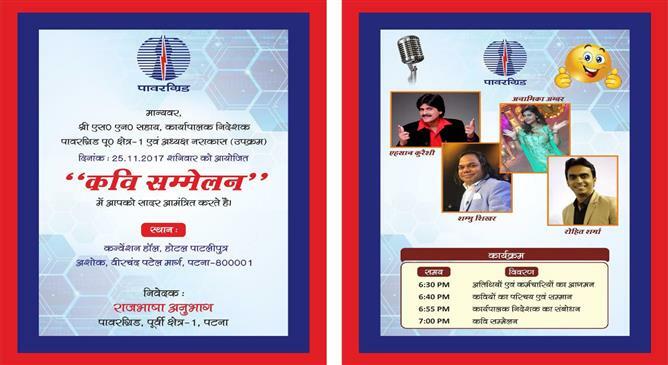 "Yeh Sadi Hamari Hai, Zindagi, Lahu, Rang, Mausam, Laawa" etc are the famous collections of Dr. Manzar Bhopali. Dr. Suresh Awasthi is specifically known for his fantastic hasya vyangya. Belonging to Kanpur (U.P) , Dr. Suresh Awasthi has been awarded by "Rashtrapati Samman". He is also a very well known name in the world of journalism. Currently he works as a reporter in Dainik Jagran. Shabina Adeeb is the most popular signature of Urdu mushairaas. This Urdu poetess is well-known for her melodious voice and an amazing way of expression. Her revolutionary voice has made her an ideal personality in mushairaas. She was deeply admired for her every line. 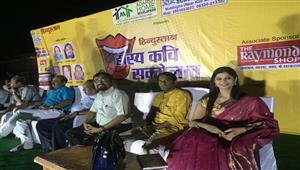 Halchal Hariyanvi is a hilarious hasya kavi and a satirist as well. "Halchal Hariyanvi ke Chauke Chhakke", "Jhoom Uthe Hum", "Mauj Ho Rahi Sae" are his well reknowned books. 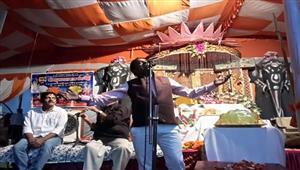 Now comes the best hasya kavi in India, Shambhu Shikhar. He is turning into the most famous hasya kavi by virtue of his hilarious style and tickling way of presentation. 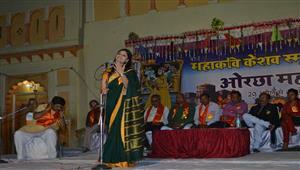 Hasya kavi Shambhu Shikhar was encouraged by the loud claps of the audience.